What Does a Subwoofer Do? 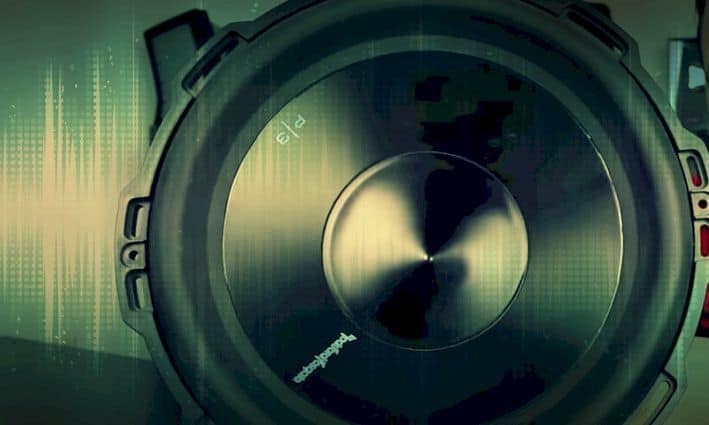 » What Does a Subwoofer Do? What does a subwoofer do? Well, it produces sounds just like a speaker, but it does more than your average speaker. To understand how it works, you should know first what a subwoofer is. A subwoofer is a complete amplifier or woofer that can play low-pitched sound frequencies called sub-bass and bass. It has a normal frequency range of 20 to 200 Hz for consumer items, less than 100 Hz for specialized live sound, and less than 80 Hz in a THX-approved system. A subwoofer enhances the low-frequency range of your ordinary loudspeakers, covering higher frequencies. A subwoofer consists of one, two, or more woofers mounted in the amplifier enclosure. Often crafted using wood, it can withstand air pressure and resist deformation. A subwoofer enclosure is available in different designs, which include the bass reflex with either a vent or port. A passive subwoofer comes with an enclosure and a subwoofer driver. Unlike the active subwoofer with a built-in amplifier, a passive subwoofer should have an external amplifier for its power supply needs. The woofer is the primary part of a subwoofer, which is sometimes called the cabinet or the driver. A subwoofer is typically active and with dedicated amplifiers. Other parts, like the stuffing and the cabinet, will depend on the intended application. The speaker size is usually between 20 and 53 centimeters or 8 and 21 inches. Odd sizes are great for specialized uses. Smaller drivers are present in desktop PC multimedia systems, while the bigger drivers are ideal in clubs and other entertainment venues. The voice coil has magnets that make the diaphragm move and produce a sound. The suspension keeps the diaphragm intact and controls its movement. A big frame, known as the basket, houses all the subwoofer parts. It stays mounted on the cabinet or enclosure. The cabinet may come with an amplifier that serves as one of its internal or external parts. A passive subwoofer sometimes has crossover filters, but most subwoofers use equalizers for better sound control. These components may range from ordinary and utilitarian to the complex and with more options. A subwoofer is a great accessory, especially for the movie and music lovers. If you install one for your car stereo or home theater system, it will reproduce even the deepest bass frequencies. A subwoofer uses a bigger woofer and a built-in amplifier that controls the signal to give cleaner and deeper bass sounds. It usually has a built-in amplifier, so you need to connect it to the electrical outlet. A subwoofer is available in two types: active and passive. A passive subwoofer does not require a dedicated source of power. Instead, it uses the power coming from the amplifier of the receiver. You should connect it to a preamplifier or an audio receiver. The receiver will send signals called LFE or low-frequency effects via the electrical current to your subwoofer. Then, your subwoofer will amplify the current and convert it to sound using the magnetic coil, causing the driver’s cone to vibrate. The vibration results in a low-frequency sound that will blend instantly with the air. Higher frequency signals are directional, but low frequencies are not. Therefore, you will gain more flexibility if you use a subwoofer instead of the placement-sensitive speakers. You can move the subwoofer all over the room depending on its layout. You may try putting the subwoofer in different positions to find the right location and enjoy good sound quality. Subwoofer installation and placement may depend on your purpose. Is the unit for your home theater system or for your car? Putting the subwoofer in the right place is extremely important, especially when it is for your home theater system. Finding the right position for your loudspeaker will help avoid uneven bass sounds or dead spots all over the room. The same also applies for using a subwoofer to your car stereo system. Read the best car subwoofers reviews for more. Generally, a subwoofer should not stay in the middle of your room because the low-pitched sounds are more audible when the loudspeaker is near the wall. That is the usual case, but each room may have a different sound profile. Every home theater room is different, so you should try putting the subwoofer in different positions until you get the best results. You can move the couch or recliner aside to position the loud speaker and help you find its best position. Come down on the ground in one of the four corners of your room, then start moving from side to side. Listen to the low-pitched sounds from your subwoofer while you move from one side to another. Once you have found the perfect placement of your loudspeaker, keep the unit in place to get consistent excellent sound quality. Putting a subwoofer to your car stereo is not as easy as placing it inside a room. The complexity behind finding the right subwoofer placement in a car stereo installation is due to various vehicle configurations. However, the best bass response in this case normally comes from the speaker positioned far within the car and pointed near the back. This kind of installation and placement is not always possible, but the best sound quality is also obtainable if you put the speaker in the trunk. When you put the subwoofer in the trunk, push it as far as you can. Then, keep the speaker grill facing upward and pointed to the back side of your car. Pointing the speaker upward will result in good bass sound quality, especially in a hatchback. You can also use a subwoofer for the stereo system of your truck. Just point it downward to gain the best bass sound quality. Your car audio and home theater systems do not essentially need a subwoofer, but without it, the sounds are perhaps tinny or hollow. What does a subwoofer do to them? Well, it will make the less audible sounds in your favorite horror movies and pop songs clearer and louder. Investing in a subwoofer is certainly a great idea. Just look for the most recommended unit or brand to get the best value for your money.